Crystaltech has the technical resource to detect even the most obscure glass and dishwashing issues, enabling rapid solutions with impressive wash results. 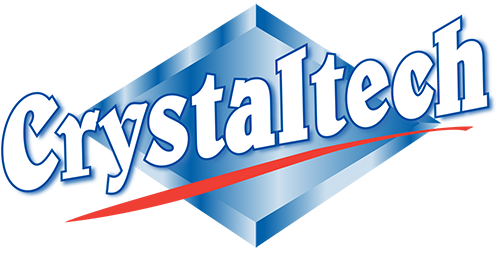 As the UK’s only specialist warewasher maintenance company, Crystaltech uses the latest, most reliable on-site test equipment which can detect bacteria from a specific water source. As well as the hygiene implications, the presence of high levels of bacteria in water can affect wash results, leading to problems such as flat beer from using contaminated glasses. “We are always on the look-out for innovative technologies to assist our services and, investment in new test equipment has enabled our engineers to locate the source of water issues quickly and fix the problem with minimal disruption to the customer. Many water treatment companies only look at the quality of the water and not bacterial levels. Our on-site test provides results in minutes, removing the lengthy process of sending samples to a test lab,” comments Derek Maher, MD of Crystaltech. Now known as 3M™ Clean-Trace™ Water Plus – Total ATP (AQT200), the test is designed to rapidly assess equipment sanitation processes and the efficiency of Clean In Place (CIP) procedures by the improved, more accurate detection of organic contamination from microbial or product residues. The test gives an objective indication of cleanliness in water samples in seconds and provides the ability to gain more consistent and reliable results, providing greater confidence in hygiene monitoring procedures. To find out more visit www.crystaltech.co.uk or call our team on 0370 350 2424.